Welcome to your 3D printed Jewelry, Bracelets! 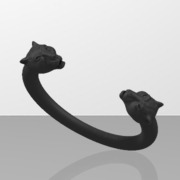 bracelet black panther was designed and shared by adriano so you can personalize it, make it personal then use it often! Pick more than seventy five various 3D printing substances to create your 3D printing item so it corresponds to your way of life or the desire and way of life of the person you would like to gift it to. Select the 3D printing material that your needs, the coloration that fits your spirit, the proportion you need your bracelet black panther in and you will have it 3D printed very soon. Thanks to our marketplace, you can adapt this design invented by adriano and instantaneously get an idea of how the 3D printed article will appear. If you happen to be uncertain or aren't a 3D printing master yet, we'll also give you ideas to ameliorate your bracelet black panther and make the best of the genius adriano bring in it to conceive a very exceptional and personalized Jewelry, Bracelets. Wheather you need to obtain bracelet black panther 3D printed for yourself or for someone you will let you to track it until it reaches you. You could adapt the details of this 3D model and personalize bits to really doubtlessly a special object, don't hesitate to add tweaks and make this 3D printing project more unique and fitting your temperament. 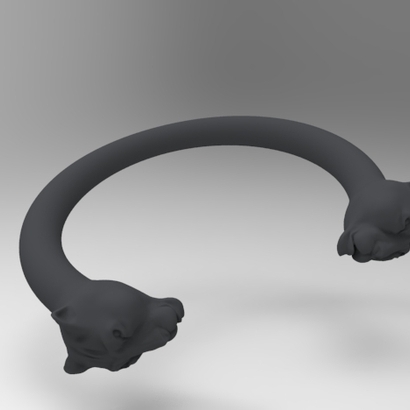 So if you like bracelet black panther, do not forget to look at another 3D models created by adriano to create other amazing 3D printing projects.